Cdr has been awarded the Tenzing Norgay National Adventure Award, Kirti Chakra for valour and courageous action. 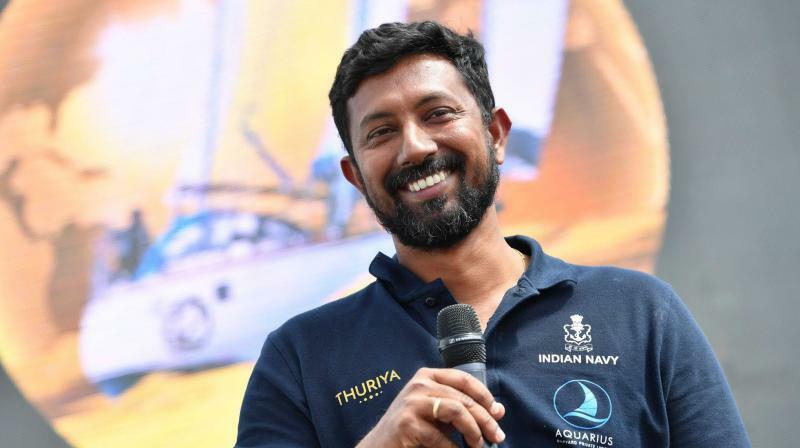 Mumbai: Commander Tomy, a 39-year-old Indian Navy pilot and a determined sailor, was the only Asian to have participated in the Golden Globe Race 2018, which entailed a solo circumnavigation of the globe in a non-motorised sailboat. 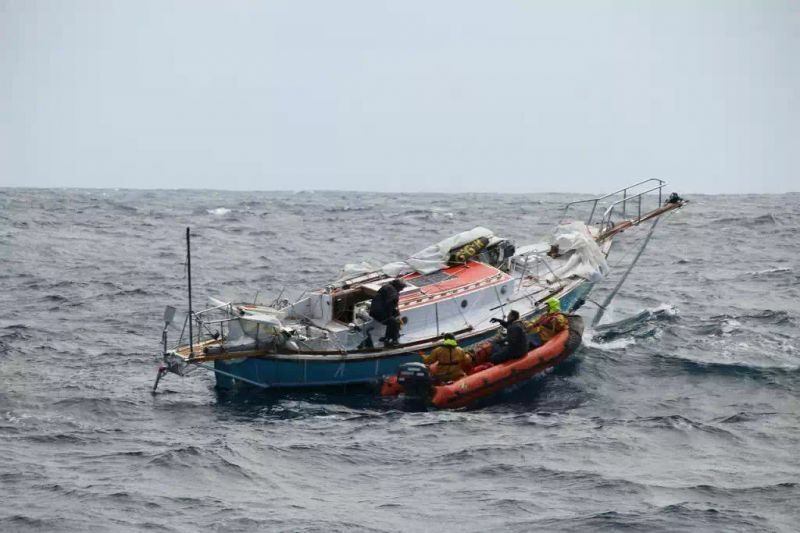 On September 21, 2018, Cdr Abhilash Tomy suffered a severe back injury after his sailing vessel was overturned by a violent storm in the southern Indian Ocean. It took three days and a global effort for the Navy to rescue him from the middle of nowhere. Still recovering from the ordeal, the Navy officer, in conversation with this correspondent shares his journey of once-in-a-lifetime experience and his future plans. Correspondent: You had an incredible journey and nation was with you during the sail. How does it feel to be back and alive? Abhilash Tomy: That's really a strange question people ask me because I don’t know any other state of existence. I don't remember being dead. Anyway, it does feel good that the tough times are behind me and I am in the safety of a home and all that. Correspondent: You had suffered injuries during your sail. Have you recovered from them? Abhilash Tomy: The process of recovery is on. It will take time though. I can walk and sit and stand on my own and even climb stairs. I suppose a complete recovery could take at least a year. Correspondent: What inspired you to be a part of the Golden Globe Race? Abhilash Tomy: I was looking for an opportunity after my last circumnavigation to go back to sea in a serious way. When I told this to the then CNS, Adm DK Joshi, he asked me to look for something more difficult than the last. That is when the Golden Globe Race was announced. I read the rules of the race and found it very interesting. I liked the fact that the race was going retro restricting technology to pre 1968. This is a paradigm shift in the way around the world races are conducted these days where technology makes racing expensive and money becomes a deciding factor in the outcome. I wasted no time and applied to the race. Correspondent: How does it feel to be the only Asian to compete in the race? 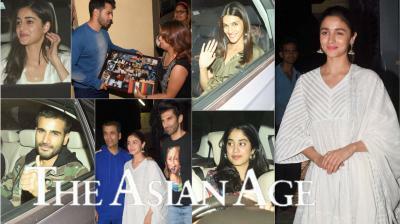 Abhilash Tomy: There were two other Asians. Ertan was of Turkish origin but a British citizen. Nabil is of Palestinian origin but an American citizen. It was really an honour to know that you are the only one from Asia to compete in the race. This is also huge given that not too many people from the continent are into ocean sailing. Correspondent: Tell us about the journey. Difficulties? Any special anecdote? 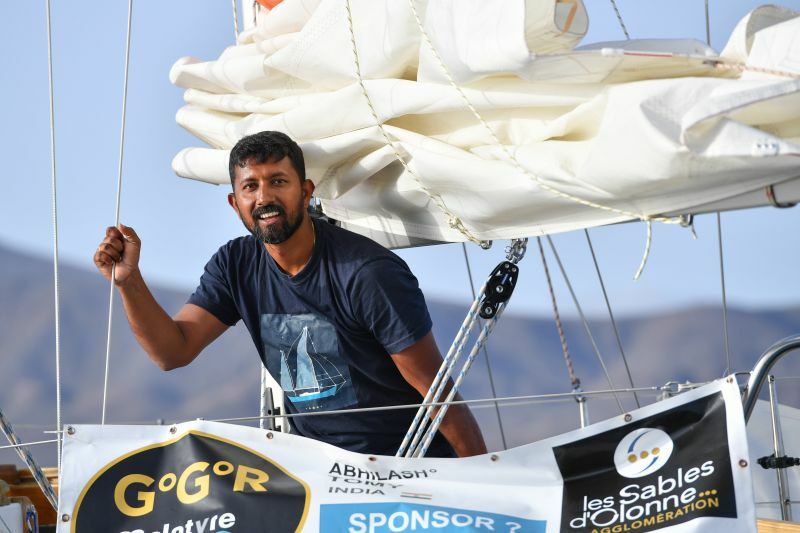 Abhilash Tomy: The race started on July 1, 2018, from Les Sables d’Olonne in France. There were 17 of us who started on that date. We were on boats that were between 32- 36 feet and of traditional design and construction. We could not use any modern aids to navigation. So we relied on the stars and sun and moon to navigate. After leaving the Bay of Biscay we sailed through the first gate in the Canary Islands. I was 10th when I crossed the gate. I was one of the few who headed west looking for winds, and I crossed the equator on August 2, 2018. Until the Cape of Good Hope, I had my fair share of little storms and calms. The boat was in good shape and I had enough rations. Due to fact that I had headed West, I had managed to avoid the St Helena high which becalms seas. I had moved up to 5th position. By now, Ertan, Nabil and Phillippe had exited the race. Are Wiig was rolled and dismasted and he too exited the race. 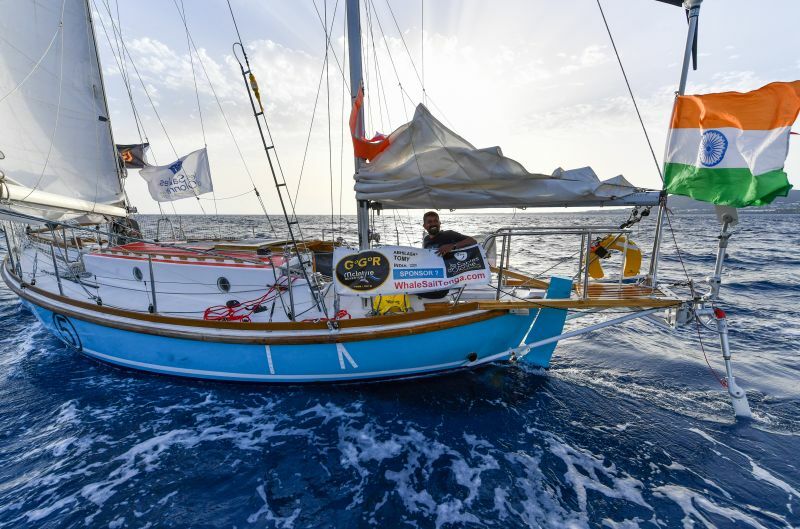 Loic ran out of the water and stopped at Cape Town and he was shifted to Chichester Class. After Cape of Good Hope, I steadily worked my way up and I was in 3rd position when a storm hit us. We were in the middle of Indian Ocean at about 40 deg south, about 6000 km from India, and 4000 km from Australia and South Africa. Gregor, who was behind me was rolled and dismasted. That's what happened to me too. But in addition to the damage that the boat sustained, I also suffered a back injury which confined me to the bunk. I had to call for rescue. 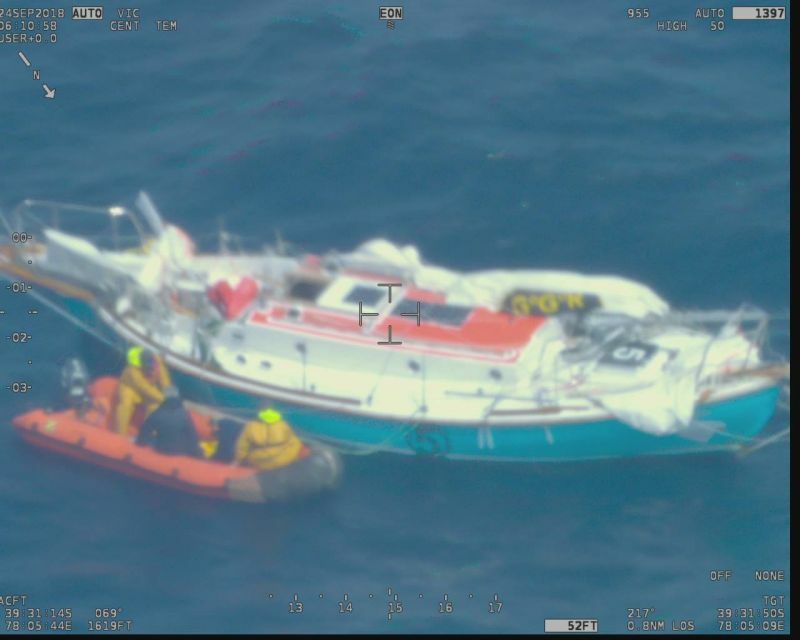 The Australians, who are responsible for rescue coordination in that area, quickly mobilised a French fisheries patrol vessel called Osiris to come to my rescue. At the same time, Gregor rigged a temporary mast and headed to me. Finally, it was Osiris that picked me and took me to Amsterdam Island. Correspondent: How did you prepare for this race? 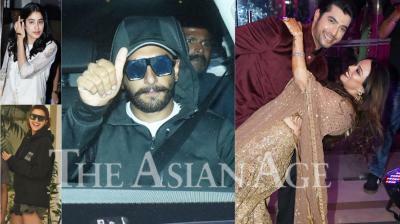 Abhilash Tomy: The preparation was a long-winded affair as the boat had to be freshly constructed. We managed to get things right and ship it to the Netherlands where we reassembled her. I also had to identify spares and tools, repair materials, and figure out all the food and water and medicines that I had to carry. I had to undergo courses in medical care and survival and I had to get my radio license. I had to relearn celestial navigation so that I could navigate without a GPS. Correspondent: Don’t you feel lonely during sail? Correspondent: What exactly do you like about sailing? 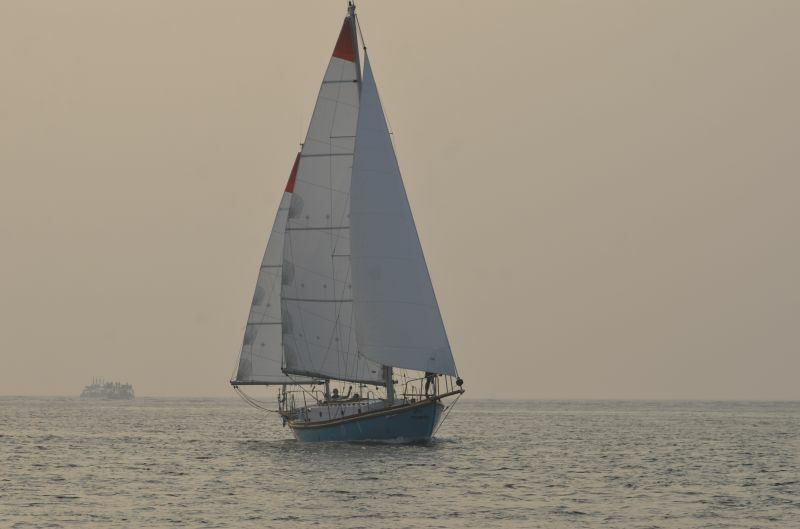 Abhilash Tomy: The solitude that sailing has to offer. Correspondent: When your yacht was hit by the storm, how did you survive those three days? 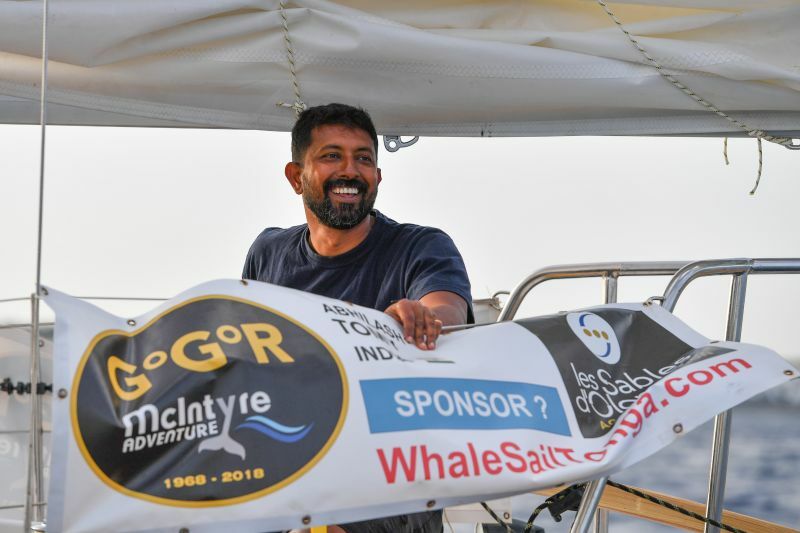 Abhilash Tomy: The boat was dismasted and I suffered a severe back injury which left me immobilised until rescue came which happened three days later. I could not get up and feed myself, nor could I pour myself any water. I remained confined to my bunk for three days during which I kept myself alive on just iced tea. The storm raged on outside. Since it was a back injury I had to be very careful not to worsen the injury since an aggravation could have led to paralysis. Correspondent: Your yacht was a replica of Robin Knox-Johnston's Suhaili, winner of the first Golden Globe Race. Any specific reason for the replica? Abhilash Tomy: I was keen to build a boat in India and the only design that was approved for fresh construction was a Suhaili replica since that was the original race winner. Suhaili was built on a 1923 design by William Atkins called Eric 32. The Suhaili was built in Mumbai. Despite the fact that a Suhaili replica was a very slow design, I chose this one so that I could go for the race with a boat built in India. Correspondent: What are your future plans? Abhilash Tomy: In the immediate future, I want to get fit. The accident had caused multiple fractures to my spine. I have titanium rods to stabilise it and they are going to be there forever. I lost about 20 kgs of weight during the accident. So it took a lot of effort and therapy to get back into some shape. I do hope I get fit and I can get back to doing what I love the most - to fly and sail. Correspondent: Any message for the youth? Abhilash Tomy: Youth is a time when you must invest in yourself. This is a time when you have age and health on your side and you should be trying a lot of new things! Correspondent: When will you participate in the race again? Abhilash Tomy: I really don't know if I will. It all depends on my recovery. Correspondent: How would you sum up your journey in a sentence? Abhilash Tomy: It was a wonderful experience and it was worth it, especially if it somehow made a difference to people in India. Cdr. Tomy has also represented India in the 2011 Cape Town to Rio Race, the Spanish Copa del Rey Race in 2014 and the Korea Cup for two years in succession. He is the only Indian to complete solo, non-stop circumnavigation of the globe in 2012-13 onboard the Indian Naval Sailing Vessel (INSV) Mhadei and has covered 53,000 nautical miles under sail. He has been awarded the Tenzing Norgay National Adventure Award, the Kirti Chakra for valour and courageous action and Mac Gregor medal.